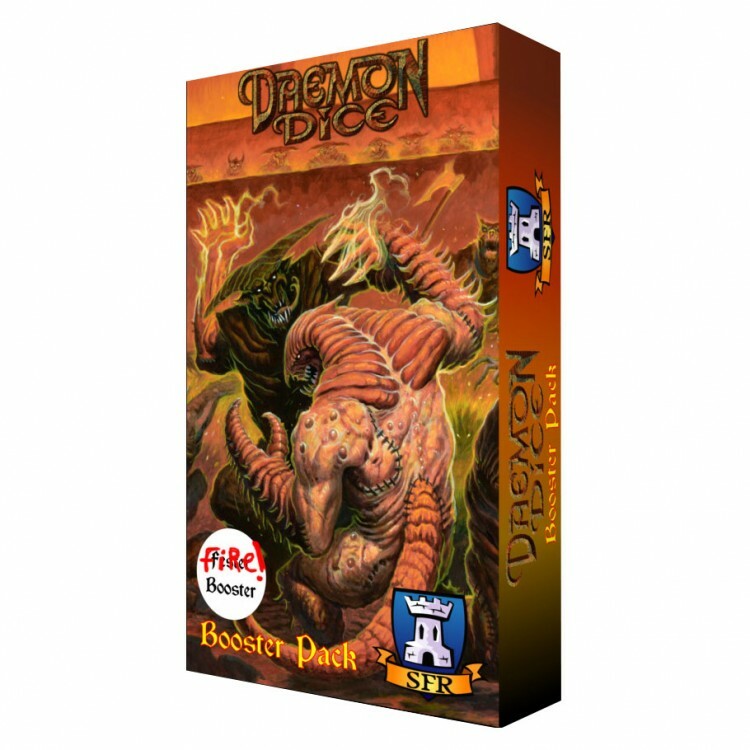 The lords of Daemon Dice(TM) have scoured the realms of Hell for more minions to send to the Infernal Arena to battle for their honor. These new daemons have arrived courtesy of SFR, Inc. and their new release, Daemon Dice(TM) Fire Booster Packs. These boosters will provide your fiendish alter ego with plenty of fresh pieces to create a wider variety of daemons. Each Booster Pack contains one new breed of daemon. The second booster brings the Fire Daemons to the Arena. A purebred Fire Daemon has a scorching touch that can turn a stunning blow into a critical wound. This can tip the balance of battle when your opponent is looking for a body part to roll to stay alive! Each Daemon Dice(TM) Booster Pack contains 13 18mm dice for the Fire Daemon. These are a random assortment from 13 body parts, and have red plastic and yellow ink. The Booster Packs contain the supplemental rules for the new breeds of daemons.